Ogogoro be like woman. If you shack am, you go high o”, Teni says as she borrows a line of one of Tony Tetuila/2Baba’s old collaboration to start off another potential banger. 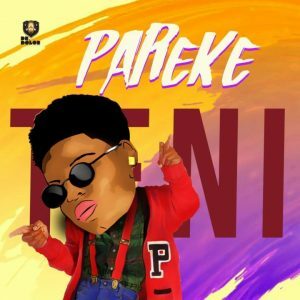 After the success of her recent single Fargin, which got her signed to Dr. Dolor Entertainment, rising female artiste Teniola Apata (popularly known as Teni Entertainer) rounds up a pretty dope year with this very street-ready tune titled Pareke.